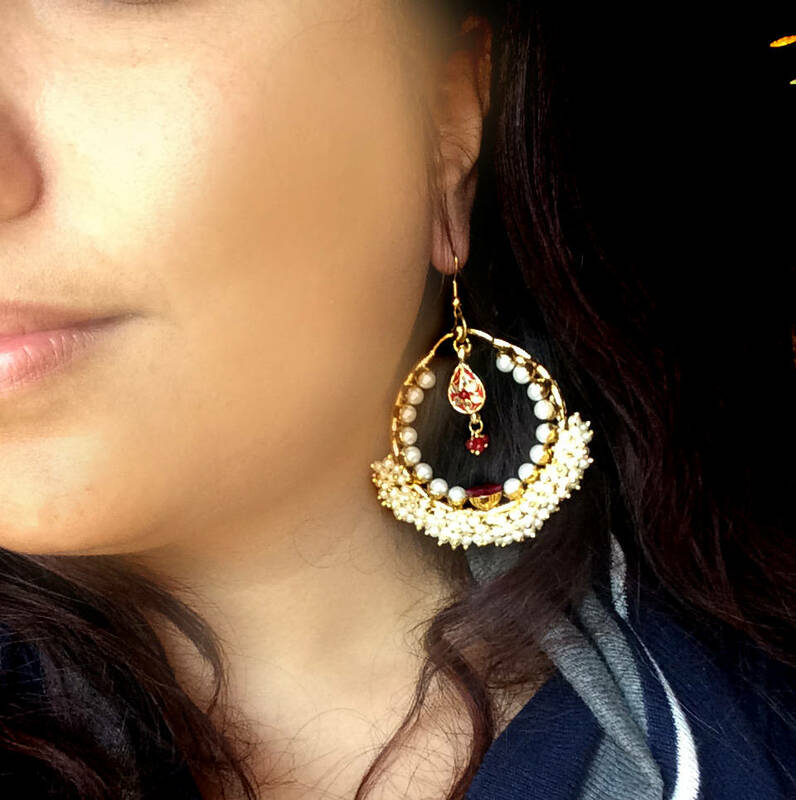 You are looking at a beautiful pair of hand made Red and Pearl Chandbali hoop earrings. 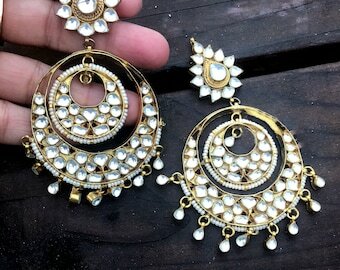 **These earrings remind you of the famous Bikaneri Kundan art tradition. **2 inch wide and 3 inch long. **Get all the beautiful colors of the season with these colorful chandbali earrings. 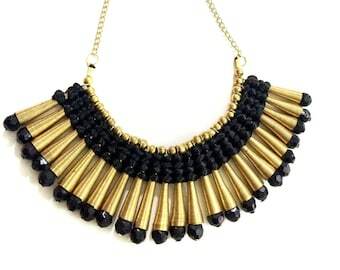 >> Recent feature in the premier fashion magazine UK COSMOPOLITAN as a " Must Have" Oct 2014 Issue.